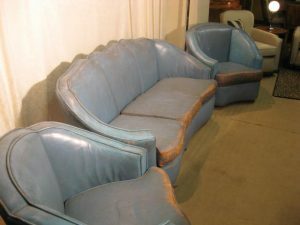 A very exclusive and super impressive 3 piece suite that is beautiful in every single way. This original art deco suite designed and made by Maurice Adams has been completely refurbished by its previous owners to a exceptional standard. The beautiful high gloss black finish has been achieved by using a polyester lacquer. This has been applied by a lacquer specialist working in the bespoke aviation and luxury automotive industry. 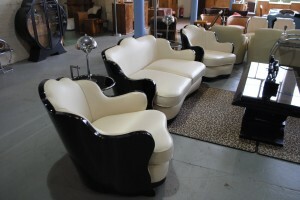 The suite has then been lovingly upholstered in the finest cream traditional leather. We can offer several cushion options to suite your personal taste and the ones in the images are for display purpose only. 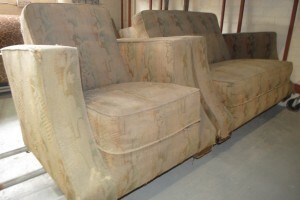 We also currently have several other items available to compliment this suite. Modern Decorative Art by Maurice S R Adams can be viewed today in the Victoria and Albert Museum London. 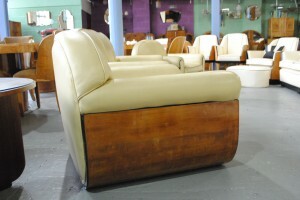 Also Cloud 9 Art Deco showroom, come and take a look, its amazing. WOW! For more details please call 01257 473688.